You may recall a little while back, here on the site, we ran a feature on Indah. I can’t find enough adjectives to explain just how obsessed I’ve become with this coconut butter. I’m actually known to walk past the cupboard and take spoonfuls out of the jar. But of course (and as you will come to learn in this segment) coconut butter is far more than just food! It is such a mutli purpose product; think deodorant, antibacterial friend and sunscreen just to give you an idea. 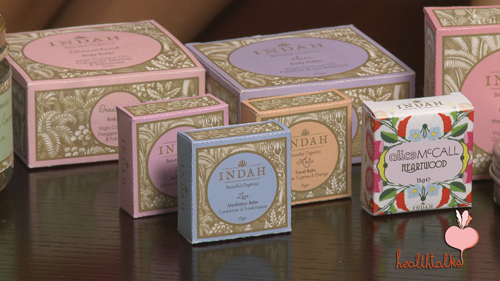 Teisha shares the new range of Indah with us today – perfect for those who avoid perfume due to the nasty chemicals but don’t want to miss out on smelling gorgeous – here’s your solution! These products sent the set of healthtalks into a zen state of love. It’s also just brand new on shelves. Crack into todays segment quicker than you can chop the top off your coconut as we talk about the many uses of coconut butter, we touch on palm oil, orang-utans, rabbits, christmas lunch, adoption and beauty. There’s a bit of something for the whole family – pets and all! FYI – The Pagoda Tree are stockists of Indah – so if you want to get your hands on some, come check us out. Yum. They all look amazing. I can’t wait to get my hands on some!